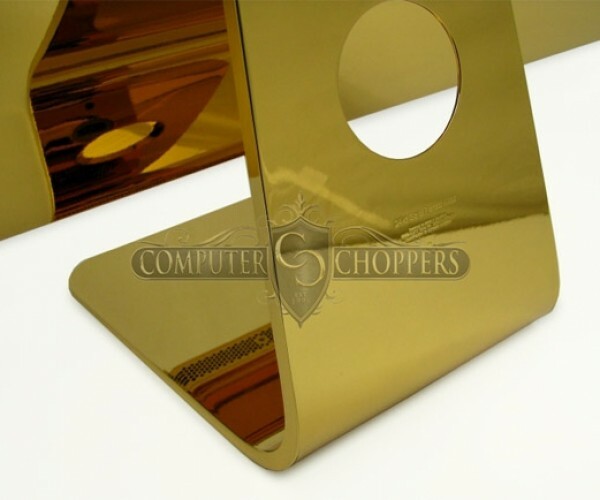 We know they’ve been pretty busy coating their gadgets with gold and other metals, but it’s been a while since we checked in with the guys from Computer Choppers. 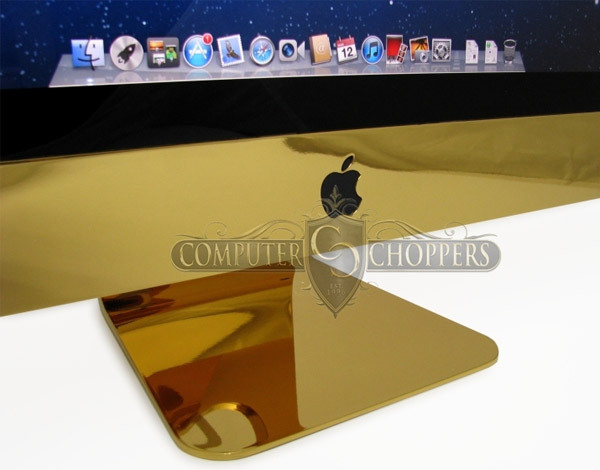 Turns out their latest endeavor is a doozie – it’s a 27-inch iMac plated in shiny gold. 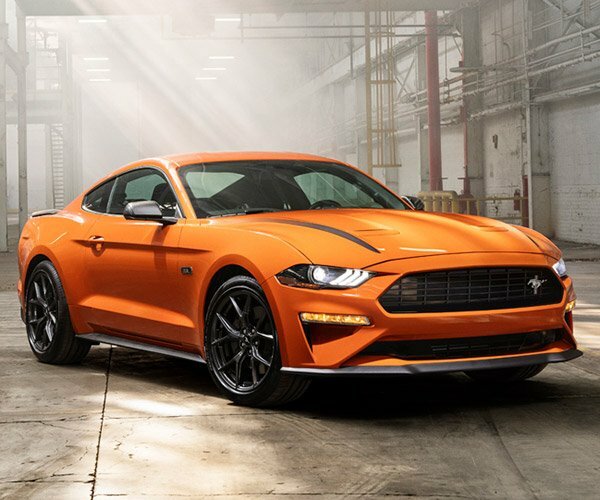 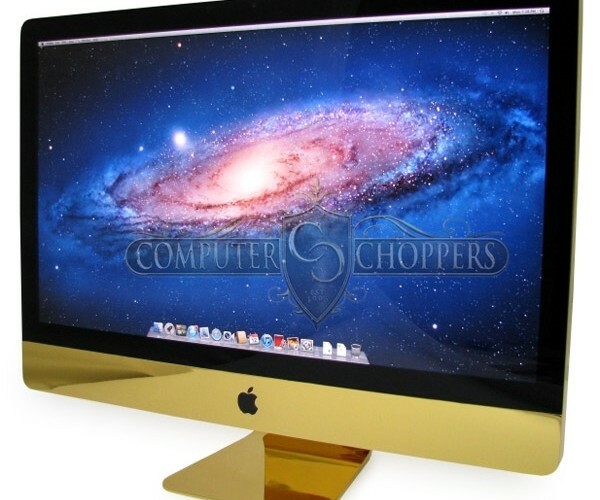 While they’ve previously taken a smaller 21.5-inch iMac and dipped it in rose gold plate, this monster is the mother of all computers for those with a taste for the finer things. 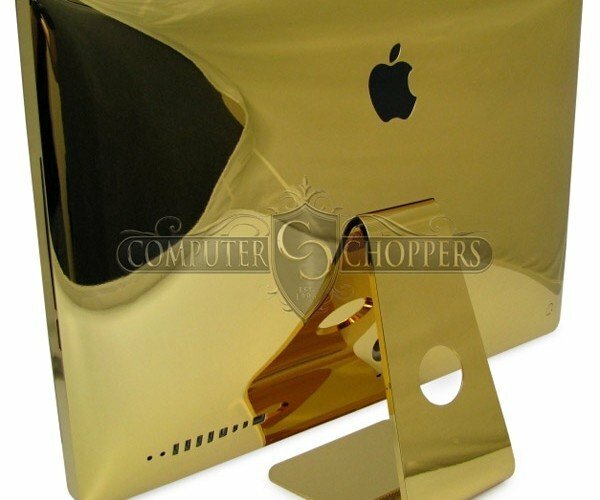 This particular iMac has had its stock aluminum plated with polished 24 karat gold, and coated with a clear finish to ensure it remains shiny. 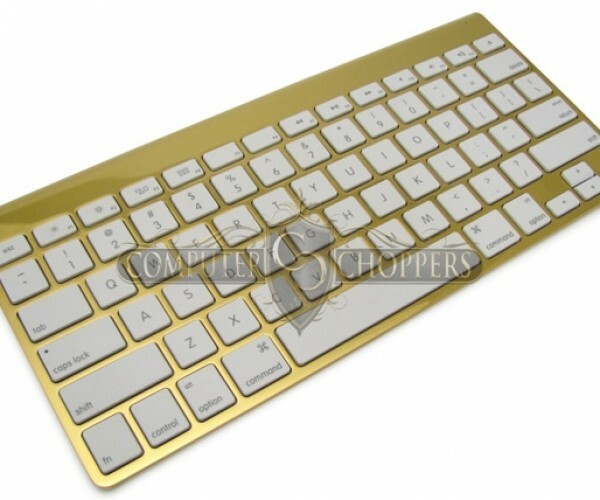 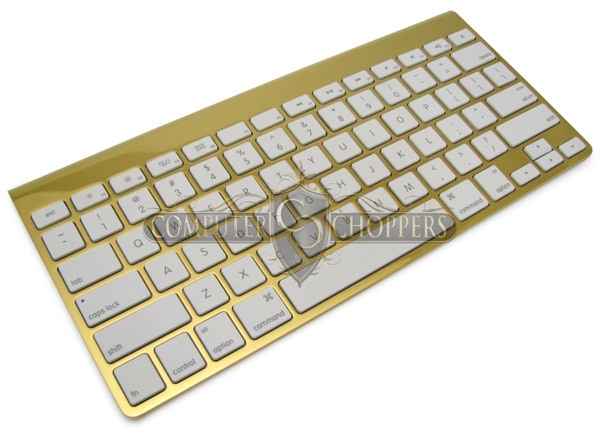 It’s also got a matching gold keyboard, and Magic Trackpad – though I don’t see a golden magic mouse to go with. 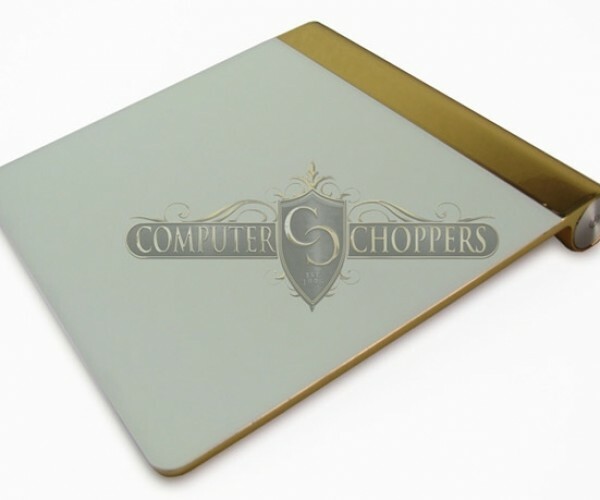 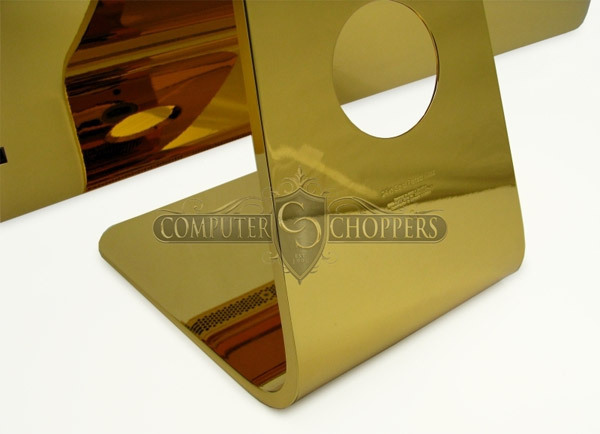 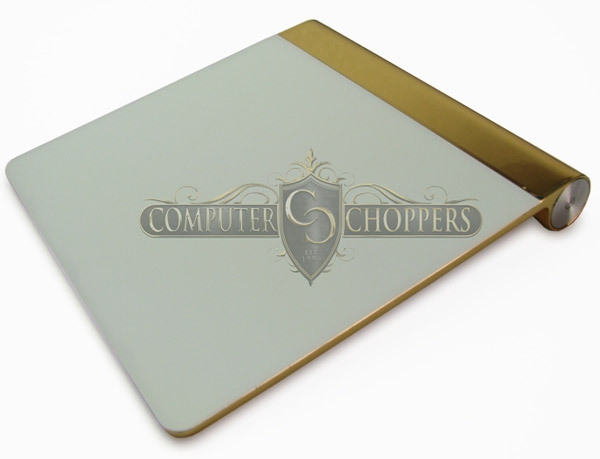 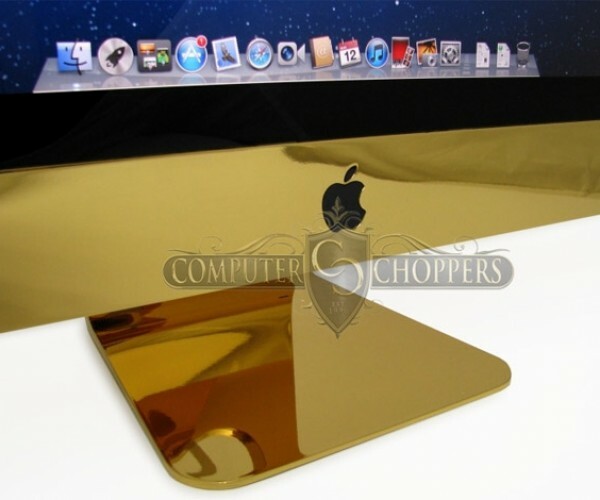 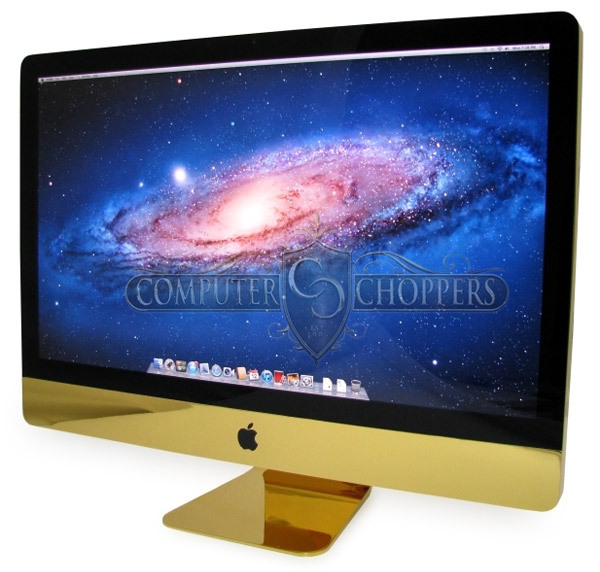 If you’d like your iMac plated in gold, head over to Computer Choppers and drop them a line. 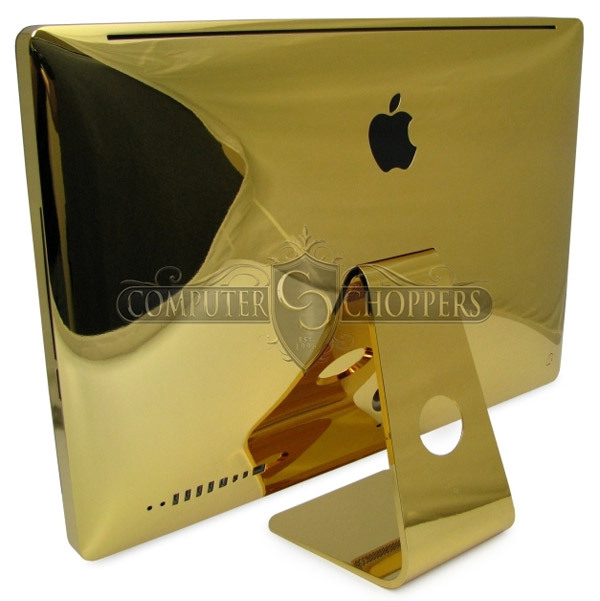 You’re looking at anywhere from $7500 to $10000 (USD) depending on the system.